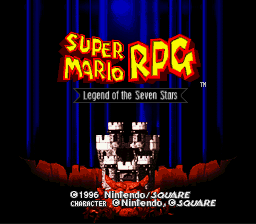 Super Mario RPG Legend of the Sever Stars was a fantastic Mario title and SNES title. It was clear Nintendo wanted to test the bounds of where Mario could go. The goal of the game is to confront Smithy and repair the Star Road, which has been broken, and thus unable to grant wishes to people. Teaming up with Mallow, Geno, Bowser, and Peach, the heroes go on the long adventure to collect the 7 star pieces, and repair the Star Road. The battles are a lot of fun, and it still feels very much like a Mario game, which was of the utmost importance. There’s even some platforming in the game to keep in the style of Mario. I don’t really know what else I need to say. It’s a great game, and you MUST give it a try, because it’s that good! My only complaint is that it’s too easy, but other than that, it’s a solid SNES title!